← The Giant’s Shoulders #34: The Existentialist Edition! Foster kittens in the house! 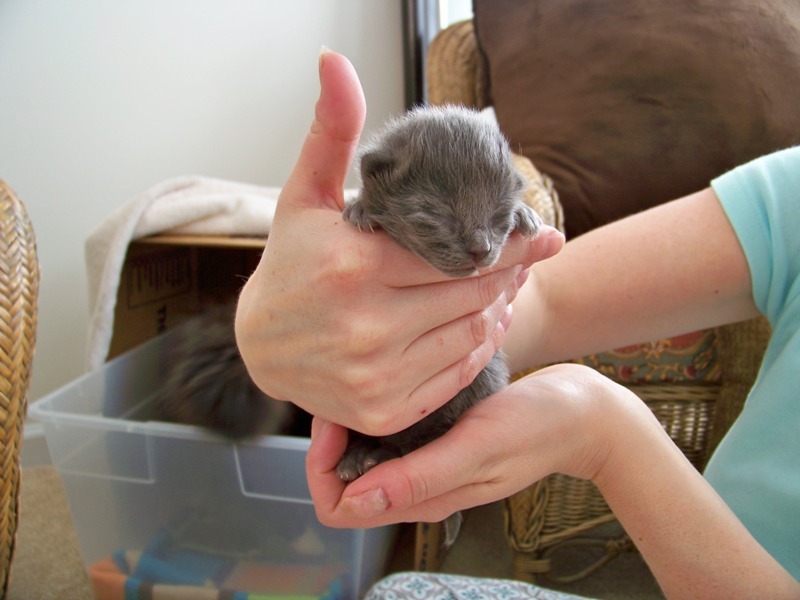 The kittens were born on Saturday, April 9, and we got them on the 12th. We’re fostering them on behalf of rescue group F.U.R.R., with whom we’ve fostered before (and are still fostering Mango & Mandarin). Would you like to see some individual pictures? At 8 days, we got some nice pics of each! The kittens already seem to be developing their own personalities: some are much more restless than others, and some complain much more than others! It will be interesting to see if their “initial” personalities stay with them as they grow older. We’re going to be fostering the kittens and momma for some 8 weeks; I’ll post updates with their progress as they grow up! 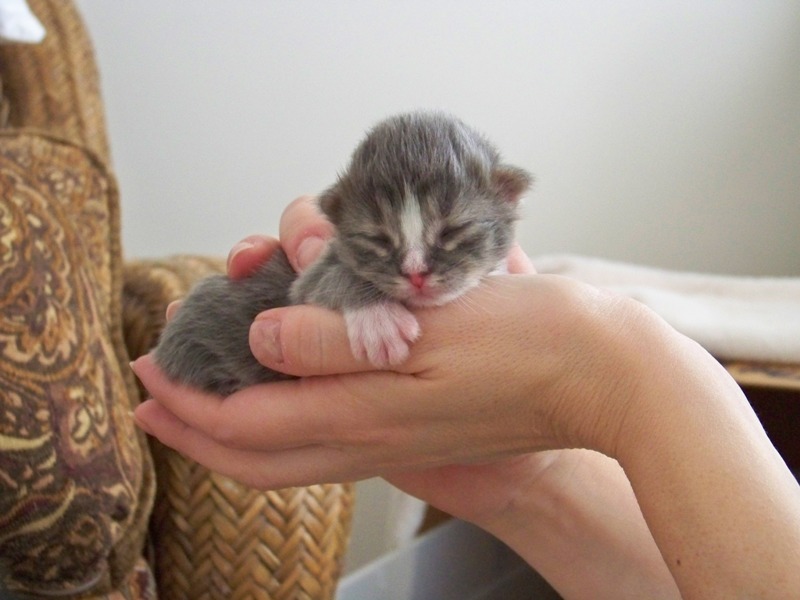 8 Responses to Foster kittens in the house! Soo cute! 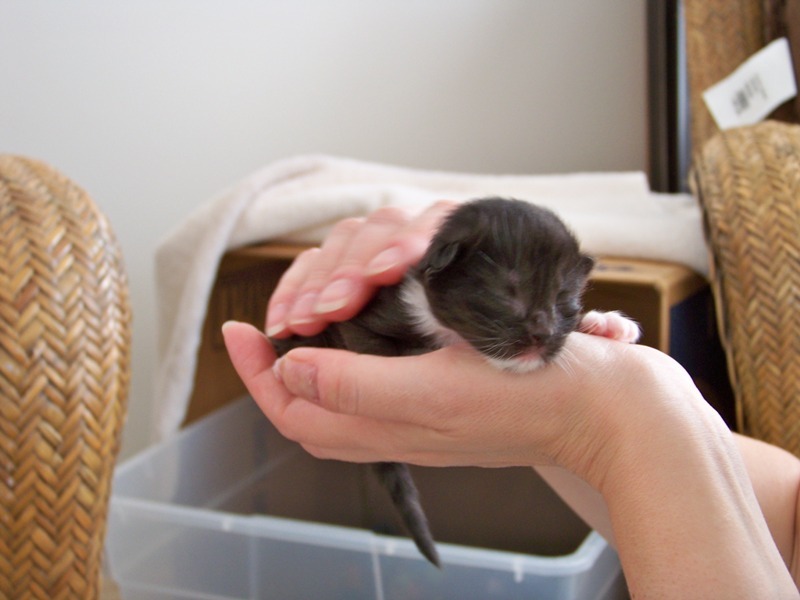 And thank you for helping out a mama kitty in need. 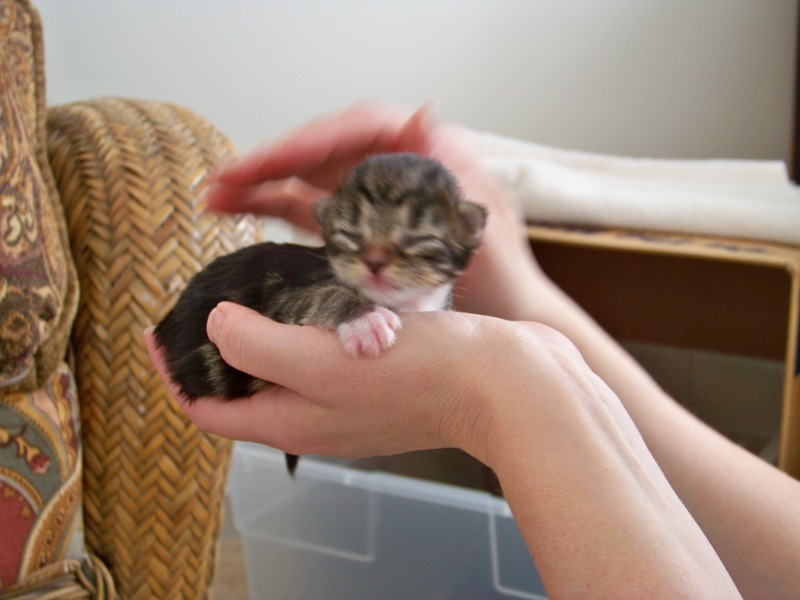 I once took in a cat who turned out to be pregnant. (Will always get them spayed before bringing them home!) 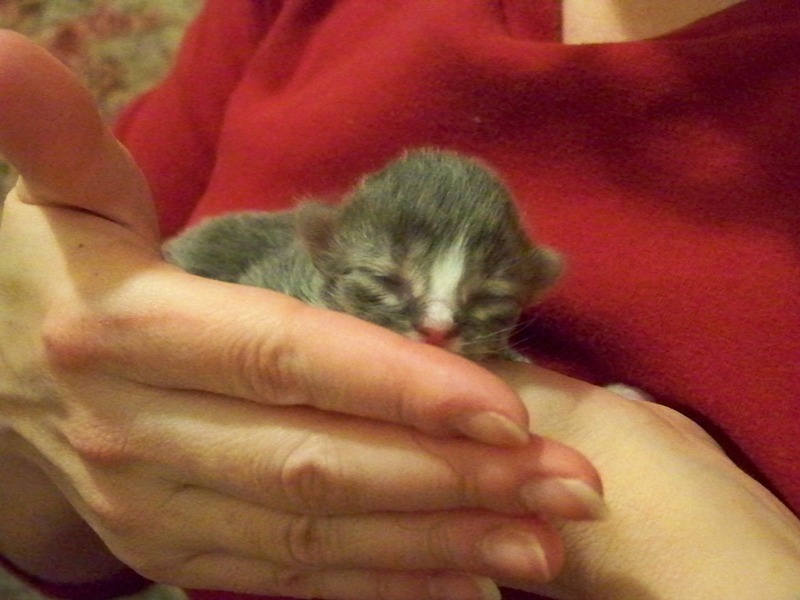 The mother was very relaxed in my house, full of my cats and a dog, and had them right under the kitchen table. Those kittens were more fun to watch than TV at the time. Not too many foster programs then, so it took a long time to find those boys homes. 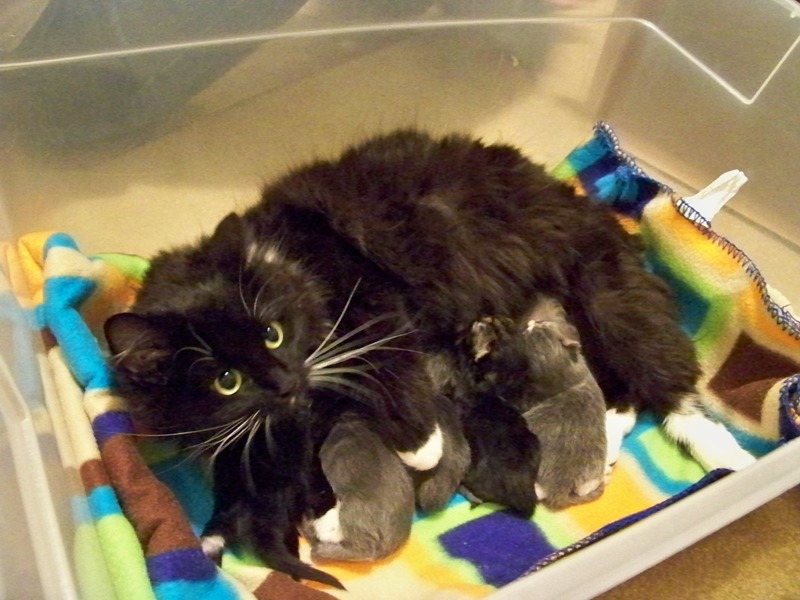 (Long haired, calico mom, 5 boys; 2 tabbies, two van colored, and one black and white spotted–a really cool brood.) I ended up keeping three of them. 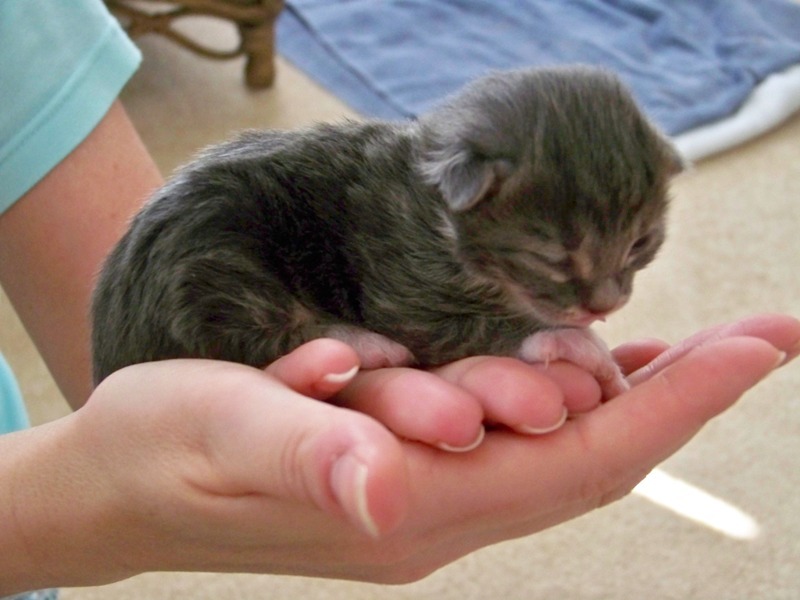 Your kittens are sooo adorable! Ceci loves the tabby cat & Cassie loves the black & white cat. Ceci & Cassie: Glad you liked the pictures! I’ll post more as the kittens grow! Thank you for sending me pics of kitties. They are so adorable!! 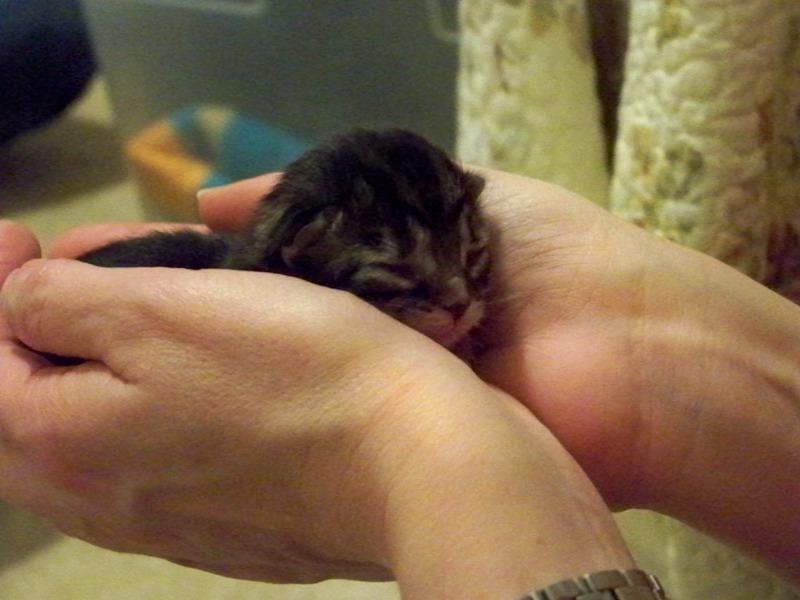 You are right – the hardest part of fostering if giving them up. On behalf of FURR, also wanted to thank you for all the help you have given us. It is deeply appreciated. 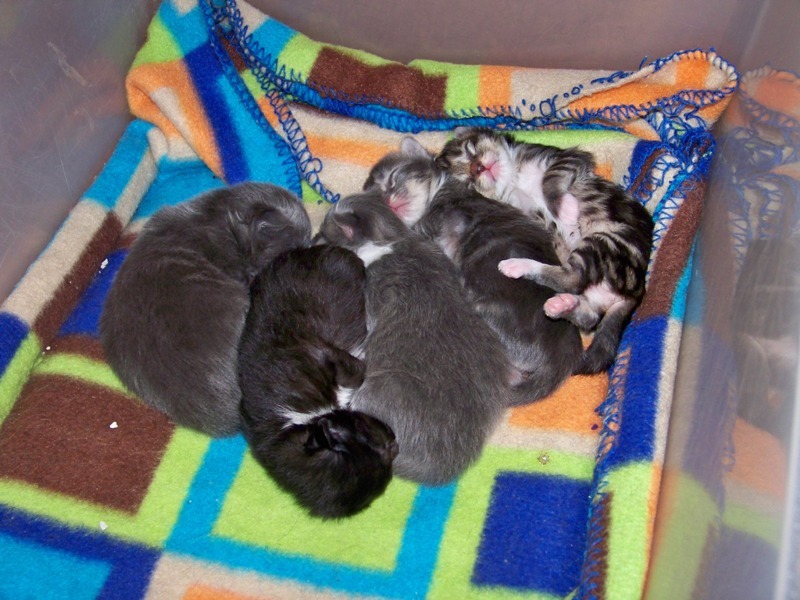 We had a stray adopt us and give birth under our rosebush May 5, and momma and kittens look almost identical to the group here! We have momma and the kittens inside now (I’ve donated my bathroom to be the cattery for the time being), and just got them all checked up at the vet. I look forward to following along as you foster!